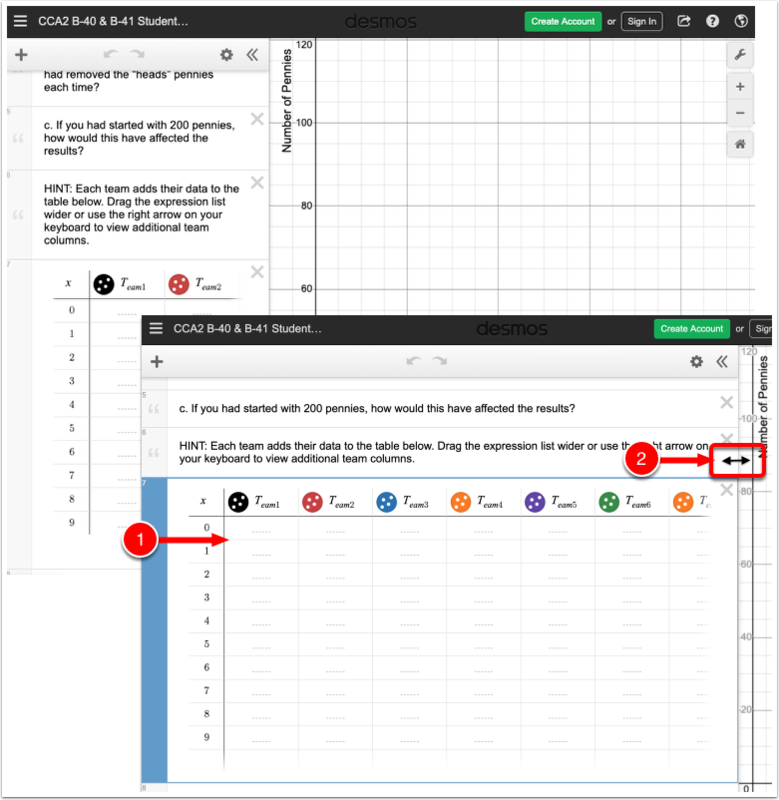 Use this eTool to complete the tasks in problems B-40 and B-41. 1. Enter the data for each team in the table in line 7. 2. Expand the expression panel to view the columns in the the table. 2.1. Hover your mouse to right side of the panel until you see the double-sided arrow cursor. 2.2. Click and drag to adjust the size of the panel.